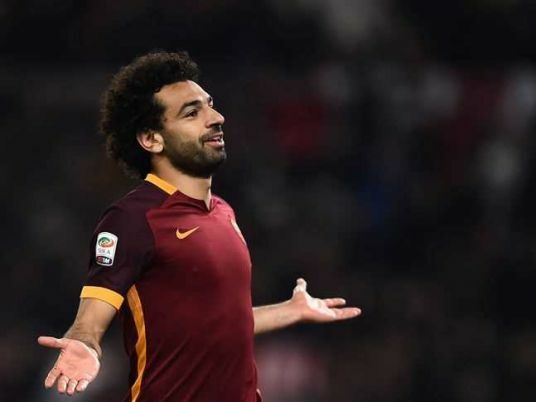 Egyptian football star Mohamed Salah, who is part at Egypt’s national team, and footballer Ahmed Hegazi were selected on Tuesday as the ‘Best 11 players’ who will be part of the World Football Team of the 2018 World Cup qualifiers by the Confederation of the African Football (CAF). Besides his membership of Egypt’s national team, Salah is currently servicing as winger at the UK-based football club Liverpool, while Hegazi is serving as defender at West Bromwich. Both of them helped Egypt reach the 2018 World Cup tournaments after beating Congo in a dramatic clash in Alexandria. Before the CAF’s announcement, the French sports news magazine ‘France Football’ had also chosen Salah as one of the 11 players who will play within the World Football Team. The magazine’s choice of Salah was based on his role in pushing Egypt towards the qualifying round of the World Cup that will be held in Russia. This is the first time in 28 years Egypt has qualified for the World Cup. Sports news website Bleacher Report also chose Salah as one of six players nominated by the website to be members of the World Football Team. The list also included Argentina footballer Messi, and the Portuguese player Cristiano Ronaldo. The World Football Team includes 11 of the most recognized and professional footballers from around the world. The team makes an appearance at the end of each World Cup tournament and plays an honorary match. The top list also includes Tunisian winger Ali Maaloul, who plays for Egyptian side Ahly, as well as Uganda goalkeeper Denis Onyango, Senegal’s Sadio Mane and Nigeria’s Victor Moses.